In the year 1592, Sir Robert Carey, a handsome courtier, comes north to Carlisle to take up his new post as Deputy Warden of the West March. He has wrangled his appointment to be nearer to his true love, a married woman, and farther from the gimlet eyes of his creditors and the disapproving eye of his father (the Queen's cousin-possibly her half-brother). And of course, he can use the money.... Sir Robert is quick to realize he won't see a profit from the perks if he fails to keep the peace. 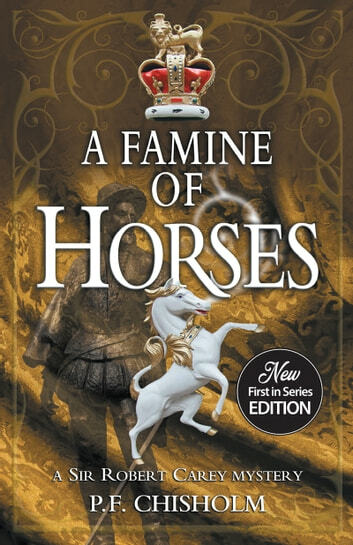 Alas, he is quickly challenged by the murder of a local lad, the possible betrayal of a disappointed rival, the ire of the lady's husband, and the question of the horses-the hundreds of horses being stolen from all over the neighborhood. It's hard to say whether the greater danger lies without the city walls amidst the scheming Scots-or within, amidst the unruly English garrison. Rich in atmosphere and packed with vivid real and fictional characters, few novels are as well imagined or as much fun as this romp through roguish courtiers, rival gangs, rustling, treason, and high ambition. With a Note From the Author.